All in all this was a pretty good week… of course the highlight of my week was going with our friends to Disneyland on Sunday. Oh and of course a BBQ competition on Saturday which was insanely busy, in a good way of course… we sold 70 racks of ribs—whew! I am still in shock that it is 2013 and tomorrow starts March… what the heck?! 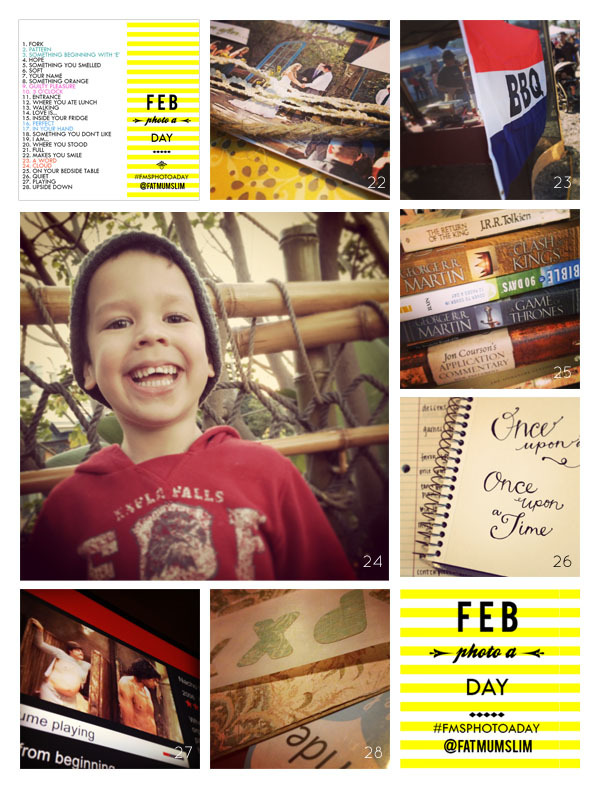 If you want to join in on the Photo A Day fun the list for March is below. Join in on the fun in March, check out the Fat Mum Slim blog to get the list and Chantelle even gives some photo ideas for each day.